De Kuyper liqueurs are praised by professional bartenders through-out the world for their unequalled colour and taste properties. A De Kuyper liqueur is the ultimate ingredient for a winning mix or cocktail. De Kuyper started manufacturing liqueurs in about 1920 and, in the 1930s, De Kuyper made nearly twenty types of liqueur, including apricot brandy, cherry brandy, triple sec and crème de menthe. Being seen straight away as market leader liqueurs the USA, the company De Kuyper takes the leadership of this market in 1984 with the introduction of its Peachtree liqueur which became a world-wide hit. In 1995, On the occasion of the company’s 300th anniversary, Her Majesty Queen Beatrix of the Netherlands bestowed upon De Kuyper the title of Koninklijk, entitling the company to include the word “Royal” in its name. Thus Joh’s de Kuyper & Zoon BV was definitely changed into Koninklijke De Kuyper: Royal De Kuyper. In the same year, the leading manufacturer of the Dutch egg liqueur advocaat and other cream liqueurs, Erven Warnink B.V. in Middelharnis, was acquired, making Royal De Kuyper the leader in that market as well. In 2007, the company opens in Schiedam a state-of-the-art cocktail knowledge center offering the opportunity to young bartenders to master their craft and to experimented professionals to exchange knowledge with De Kuyper’s marketing and R&D teams. Today, the company owned for 100% by the De Kuyper family. The11th generation is guided now to lead the company in the near future. 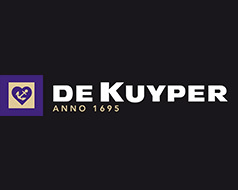 De Kuyper is the world’s number one brand in the cocktail liqueurs and play a major role on international level on the advocaat market (Warninks) and cream liqueurs. Its production facilities are located in the Netherlands in Schiedam and Middelharnis and, on international level, in Canada and U.S.A. where the products are sold under license. Foundation of the company by Petrus de Kuyper. Jan de Kuyper, Petrus third son, opens a shop in Rotterdam. Jan de Kuyper acquires a distillery in Schiedam, nearby Rotterdam. Two of his sons, Johannes and Pieter, acquire a large distillery in Rotterdam that they expanded, quickly making them the city’s largest distillers. The economic blockade decreed by Napoleon obliges the distilleries to concentrate its activities on the domestic market. During these difficult years, the company is managed by the two sons of Johannes de Kuyper, Johannes and Cornelius Petrus, with the support of their uncle Pieter. The company puts on its efforts on export to western European countries and, more particularly, on Great Britain. The distillery moves to Schiedam. Development of the first liqueurs. Opening of a distillery in Montreal, Canada. Opening of a distillery in New Jersey, USA. Cherry brandy introduced in the UK. Liqueurs take over the dominant position formerly held by Dutch gin. Introduction of the original peach tree schnapps in the USA. Acquisition of Erven Warnink bv in Middelharnis, (The Netherlands). 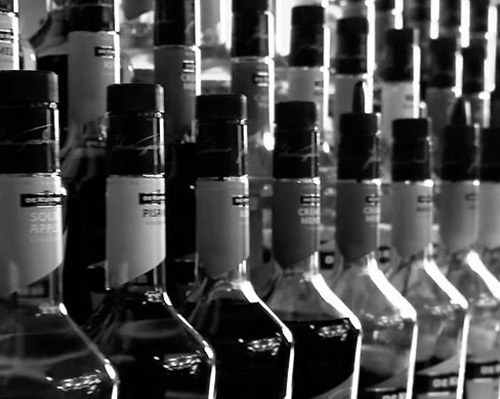 De Kuyper is the world’s number one producer of range liqueurs. The sale of one million bottles of dropshot.